Relax and unwind in this luxurious Calais 67 inch freestanding soaking bathtub. The white finish complete the contemporary design of this soaking tub that would make a great addition to any bathroom. It is UPC certified and includes a chrome overflow, chrome pop-up drain, leveling legs, and a flexible drain hose. 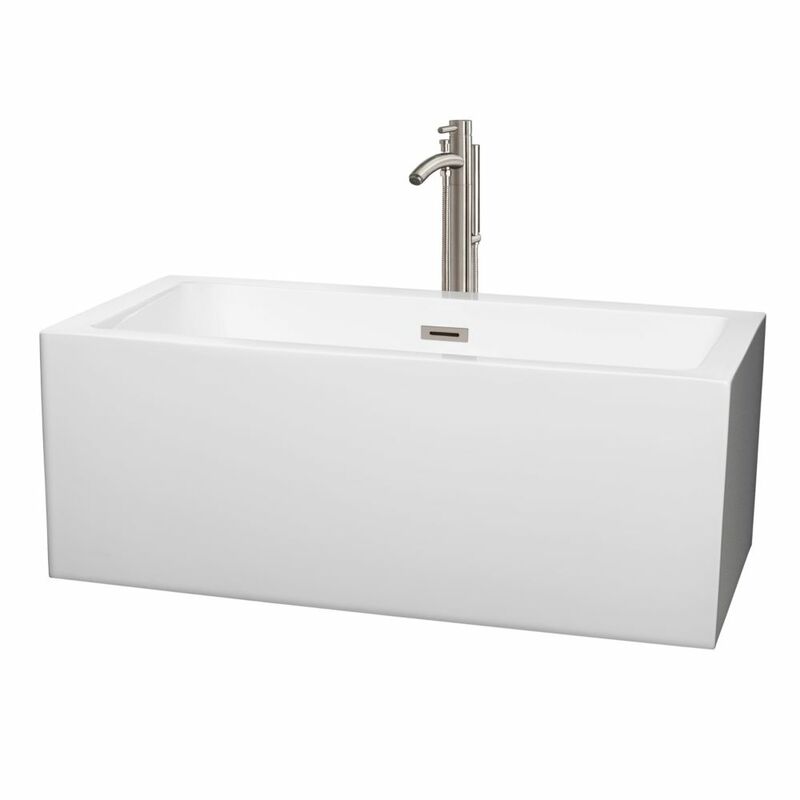 Melody 59.5-inch Acrylic Centre Drain Soaking Tub in White with Floor Mount Faucet in Brushed Nickel Deep enough for relaxing soaks yet occupying a small footprint, the Melody 5 ft. Centre Drain Soaking Tub in White is a superb choice for smaller bathrooms or confined spaces. Contemporary styling and clean lines contribute to the freestanding bathtub's modern aesthetic, sure to enrich your bathroom ambience and add a hint of serenity. This unit includes a floor-mounted single-handled brushed nickel faucet along with overflow and drain outlets in brushed nickel for a polished look. The acrylic construction is strong, light and warmer to the touch than typical steel or enamel tubs, allowing for easy installs and heat-retaining soaks. It's surrounded by a flat ledge to keep candles, oils, salts and other bath accessories nearby. Melody 59.5-inch Acrylic Centre Drain Soaking Tub in White with Floor Mount Faucet in Brushed Nickel is rated 5.0 out of 5 by 2.